The Beer Exchange is light and spacious, with striking black and white artwork on the walls. 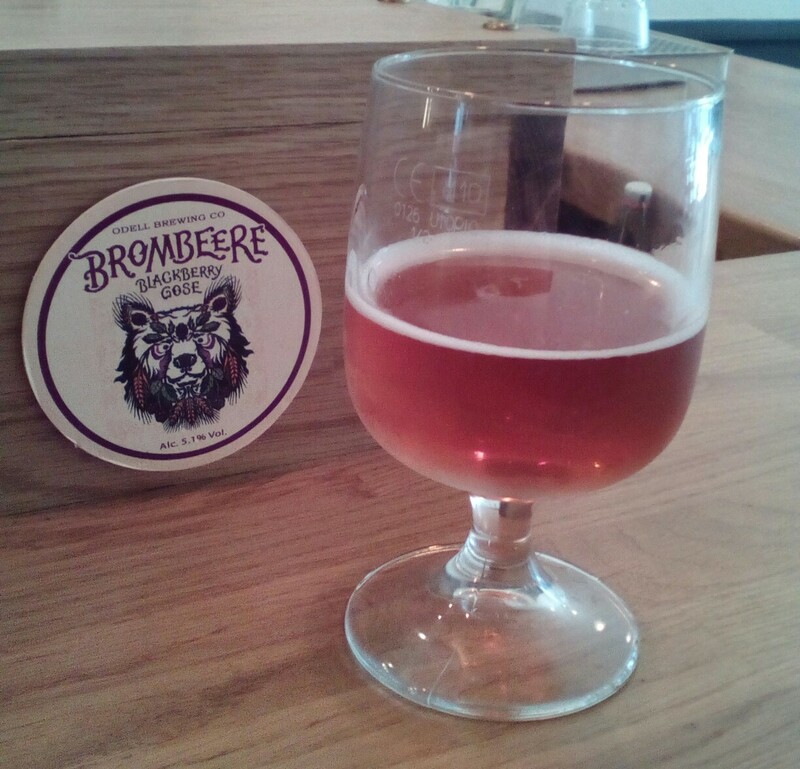 It sits firmly in the ‘bar’ rather than ‘pub’ category, although it’s already developing a community feel, with chatty regulars and a sense of camaraderie despite having only been open for a couple of months. 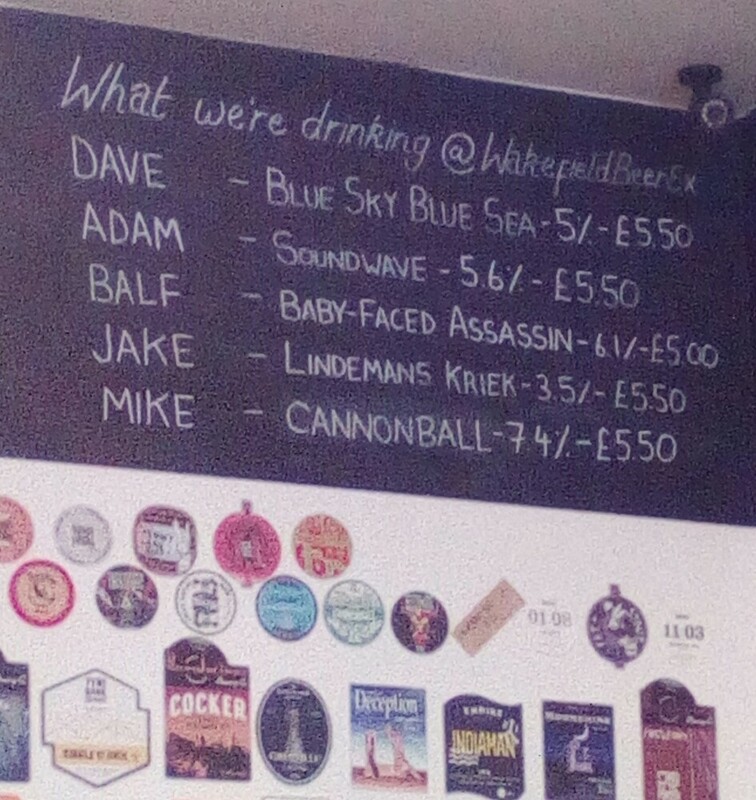 The friendly and knowledgeable staff are always ready with a taster from the six hand pumps and six keg lines, or a recommendation from the beer fridge; only one (admittedly large) fridge at the moment, but it’s well stocked with the mandatory Beavertown and Siren, alongside Magic Rock, Roosters, Vocation and plenty more. 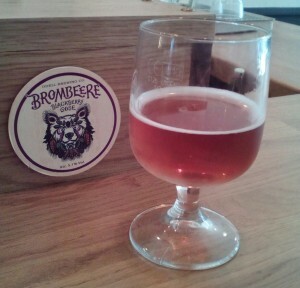 The draught beer range is generally weighted in favour of Northern, and often fairly local, breweries, with a few from further afield dotted in here and there, a recent notable example being Odell’s Brombeere blackberry gose. 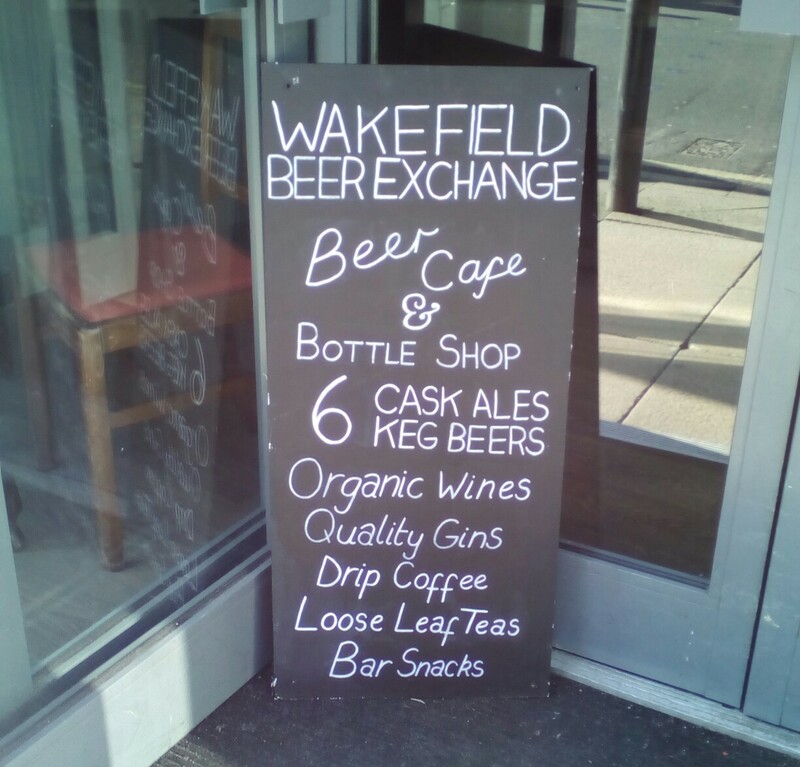 Wakefield Beer Exchange also functions as a mini bottle shop, with bottles and cans available to take away at a discounted price. How lovely to be able to pick up a chilled can of Gamma Ray on your way home from work! A carefully considered selection of ciders (including my beloved Pure North), wines and gins round out the alcohol range, with North Star coffee and tea from Birdhouse Tea Co also available if that’s your sort of thing. Gin is the only spirit they sell, and at the time of my last visit there were 11 varieties to choose from, including the fantastic Rock Rose and Forest Gin. Local pork pies are on sale, as are Yorkshire Crisps, smoky spicy pork scratchings, and a jar labelled ‘Paul’s dad’s pickles’! The Beer Exchange thoroughly embraced Wakefield’s Rhubarb Festival last weekend, with some special offerings including a couple of rhubarb gins which were reportedly very popular with the Wakefield Gin Club, especially the rhubarb and custard gin which I only managed to catch a glimpse of on Twitter before the bottle was drained dry. Good work, those people! Five Towns Roo Barb and Magic Rock Rhubarbarella were also hit hard, neither cask nor keg lasting more than a couple of days on the bar. There was, however, some Luddenden Valley rhubarb wine left over, wonderfully light with a subtle fruity tang. I’ve also heard tell that there were rhubarb pork pies available, and a rhubarb and custard fruit tea which was apparently excellent with milk and sugar..! I must say, before I started exploring Wakefield I thought that I’d mainly be going over to Leeds for a beer, but having visited Wakefield Beer Ex and Fernandes (keep your eyes peeled for another post coming soon) so far out of my ever-growing list of places to check out, I’m starting to think that Wakefield may be a bit of a beery hidden gem.